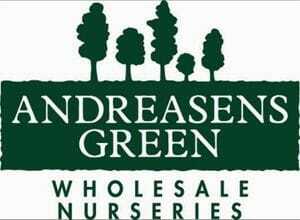 Andreasens Green Wholesale Nurseries have been a major supplier of plant material to the landscape industry since its establishment in 1981. Based in Sydney's west, Andreasens has grown to become one of Australia's leading wholesale nurseries with over 150 acres under production across our nursery sites in NSW and QLD. For nearly one hundred years, Gosford Quarries has been synonymous with Sandstone in Australia, and are widley recognised for thier expertise in the quarrying and processing of natural Australian sandstone. Gosford Quarries can provide sandstone for paving, cladding, solid block walling, carving and profiling. These products can be used for pool surrounds, retaining walls, garden edging, flooring, walling and facades, bringing ageless style to any landscaping project that is uniquley Australian. Exotic Nurseries is one of Australia's leading wholesale nurseries supplying landscape contractors, architects, designers, property developers, builders and garden centers since its establishment in 1983. Located in Dural NSW, the heart of the Hills District, we apply our skills and over 30 years of experience in horticulture to grow and deliver the highest quality plants. Midland Insurance Brokers have specifically designed a suite of products tailored for the landscaping industry. This includes but is not limited to, insurance cover for Public Liability, Motor, Equipment, Professional Indemnity, Builders Warranty, Construction and Management Liability. Over the years we have developed a range of policies perfectly for the needs of members. We know your business, let Midland design your insurance program. Alpine Nurseries is one of Australia's largest wholesale nurseries that has been in business for more than 40 years. Alpine operates from 5 locations at Dural, Arcadia and Annangrove in Sydney, at Alstonville in the Northern Rivers region of NSW and at Impact Grasses in Brisbane. Botanica Nurseries has over 70 acres of land under production at several sites throuhgout NSW growing a large variety of plants and trees for thier customers. Botanica Nurseries are committed to excellence in both customer service and the quality of thier plants. The nursery is well equipped to cater for small domestic to large commercial and industrial plantings. Botanica's broad customer base includes Landscapers, Councils, Resorts, Retail Garden Centers, Golf Courses, Parks and Government Departments. Ideal Edging leads the field in designer landscape edging, striving to make sure the customer recieves what they desire. Ideal Edging has created an extensive and growing resellers network so that edging may be purchased easily in NSW and ACT. The product range includes a size and type of edging to accomodate every landscaper's needs with 8 different profile heights, 4 constrasting finishes and 3 different gauges. Plantmark has proudly supplied wholesale plants to the trade for nearly 30 years. With a huge range of wholesale plants and trees available from more than 600 production nurseries, together with our own production resources, we offer an almost unlimited choice. Gardens at Night are Australia's premier exterior and landscape lighting professionals with showrooms in both Melbourne and Sydney. Established over 20 years ago, we have both the experience and specialist staff to design, supply and manage the installation of both residential and light commercial projects. Our designers, working in the most up-to-date CAD systems, specialise in the most energy efficient systems, ensuring that your system and products are the most efficient available.